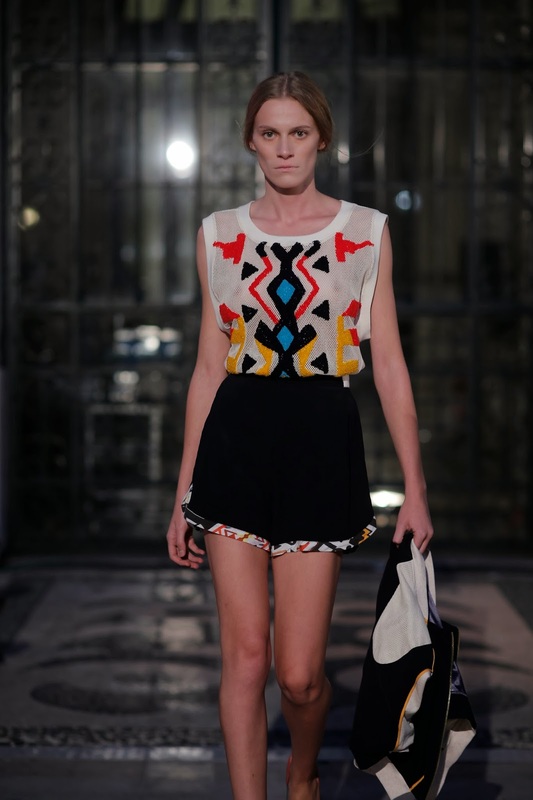 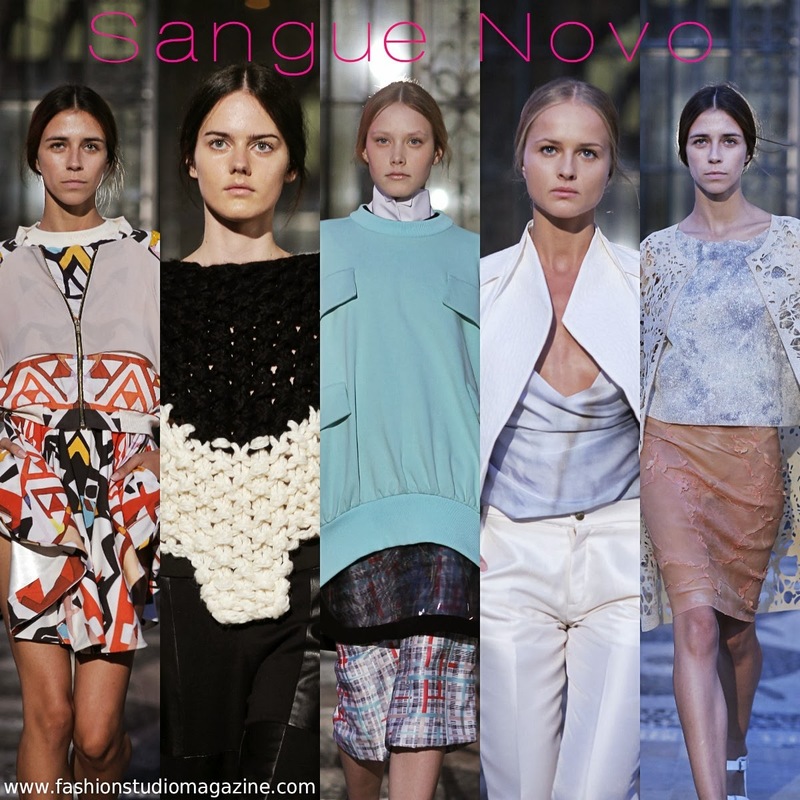 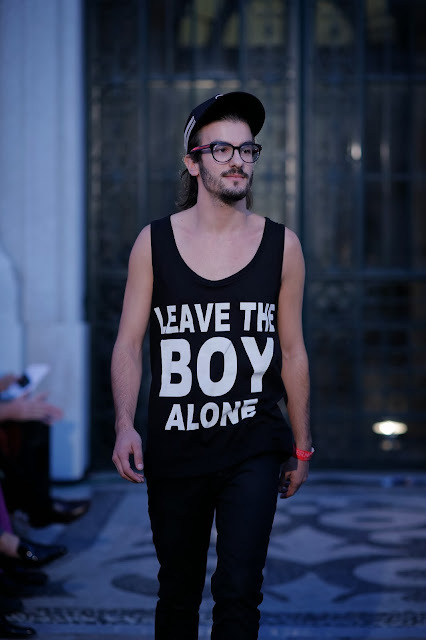 LISBON, PORTUGAL - Young Portuguese designers opened SS 2014 edition of Lisbon Fashion Week entitled EVER.NOW. 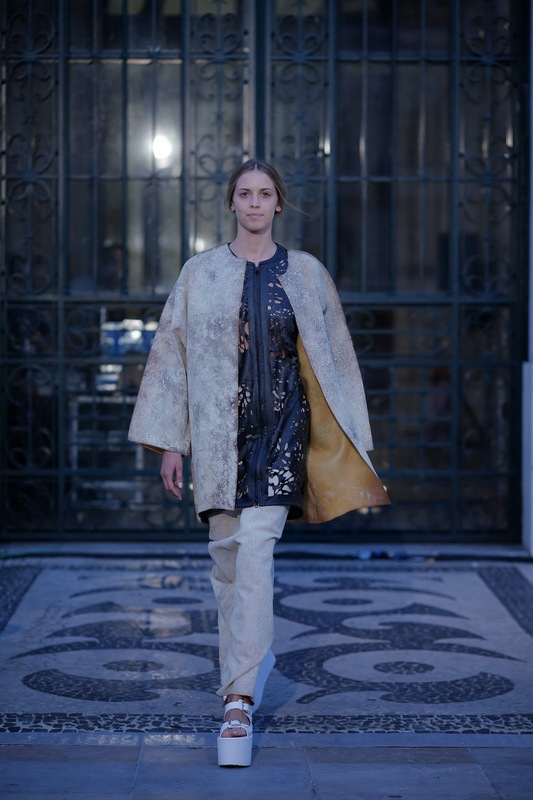 The fashion show took place outside the Câmara Municipal de Lisboa (Town Hall) on Friday, 11 October 2013. 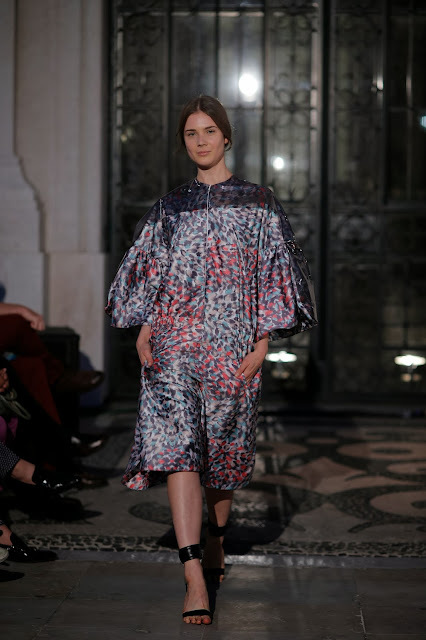 10 emerging designers presented their latest collection to the local and international press, buyers, and members of the public. Fashion Studio Magazine selected five talented designers who already developed their unique style and who, in our opinion, have a great potential to succeed in both Portuguese and international fashion markets. Our TOP 5 includes: 20/25, Joaquim Correia, Sofia Macedo, Catarina Ferreira, and Renata Bernardo. Congratulations on your amazing collections! The brand 20/25 was created in March 2012 by fashion designers João Soares and Vítor Gouveia, who graduated, respectively, from the Lisbon School of Fashion and Modatex, in 2009 and 2013. 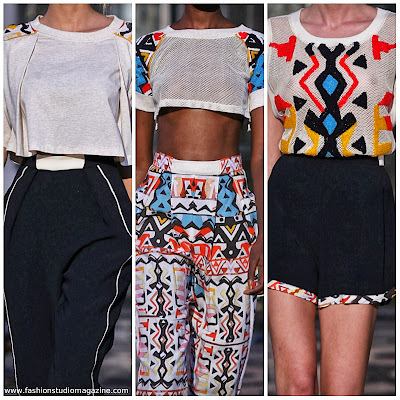 Currently both designers develop proposals for fast-fashion in Fafinvest-Civ company. 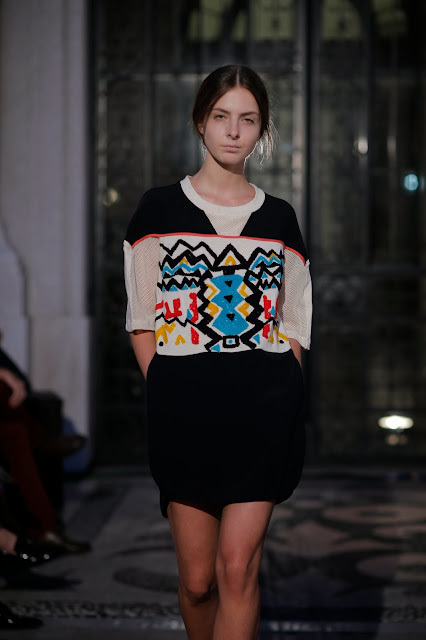 What we like: unique and eye-catching patterns inspired by Aztec culture, attention to detail, vibrant colour palette, modern sports-inspired silhouettes. 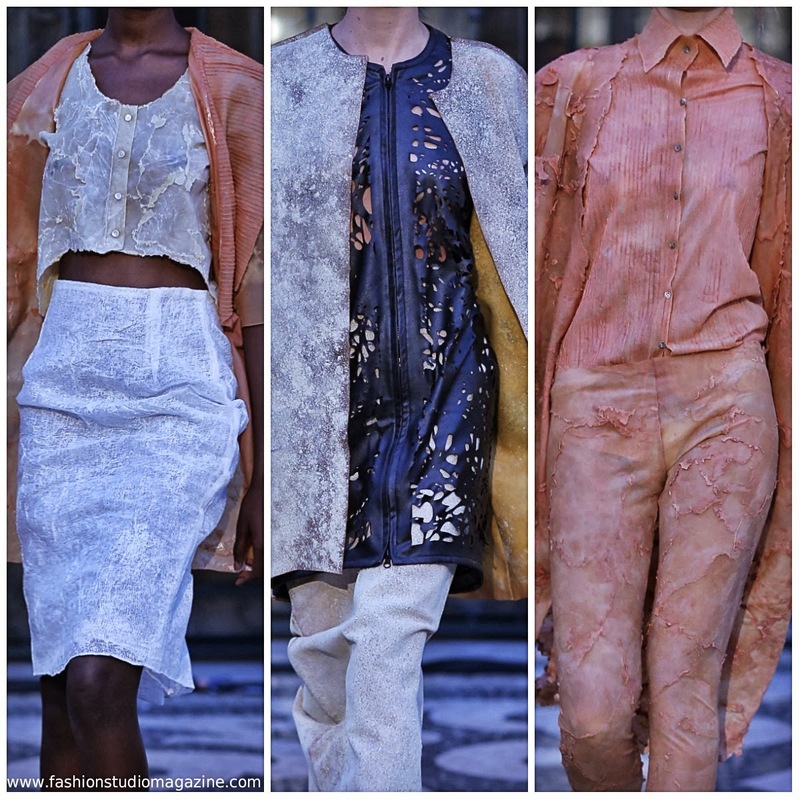 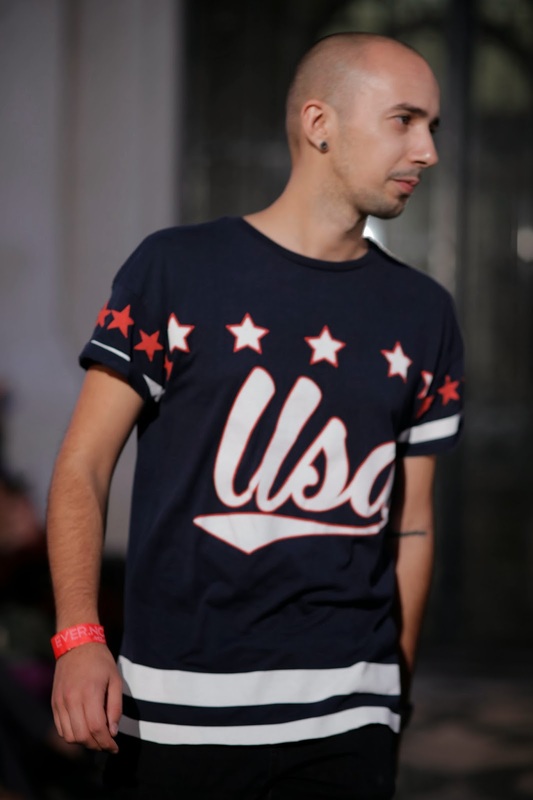 Joaquim Correia is currently completing the 3rd year of the Fashion Design and Textiles degree at Escola Superior de Artes Aplicadas de Castelo Branco (ESART). With a concept somewhat peculiar and unusual to develop his creations, Joaquim Correia works the intellectual and emotional part of the human being, giving shape and texture to the senses and feelings, trying to somehow make them visible and organic. 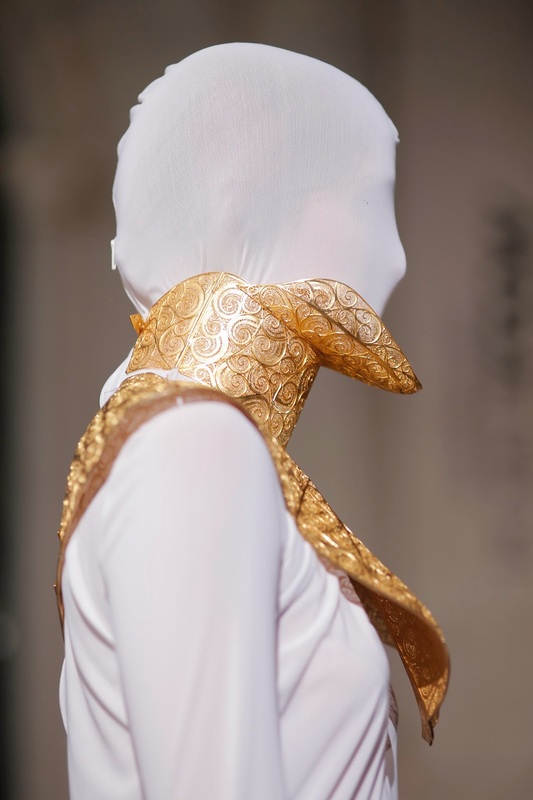 What we like: designer's concept of the "second skin", interesting use of fabrics (latex, tarlatan, plaster bandages, synthetic fur) and playing with different textures, achieving the impression of fragility. 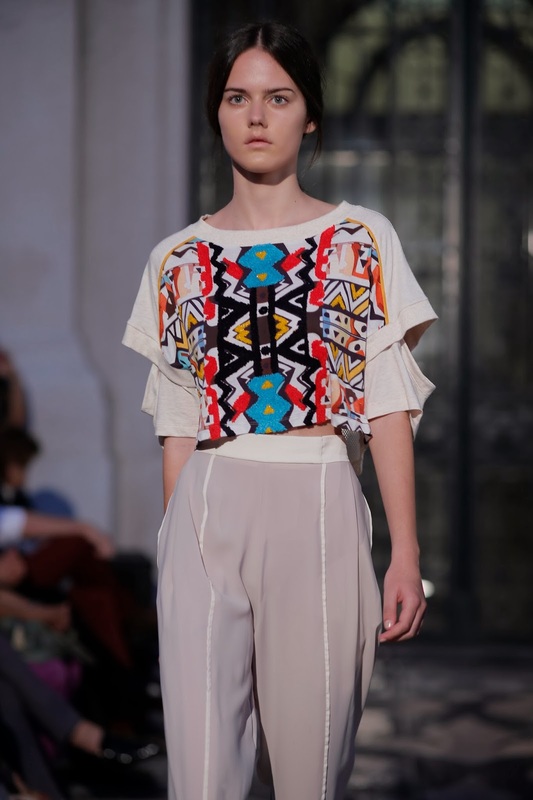 Sofia Macedo graduated from Modatex, Oporto in October 2012 and is currently working at Caifai, a textile manufacturer. 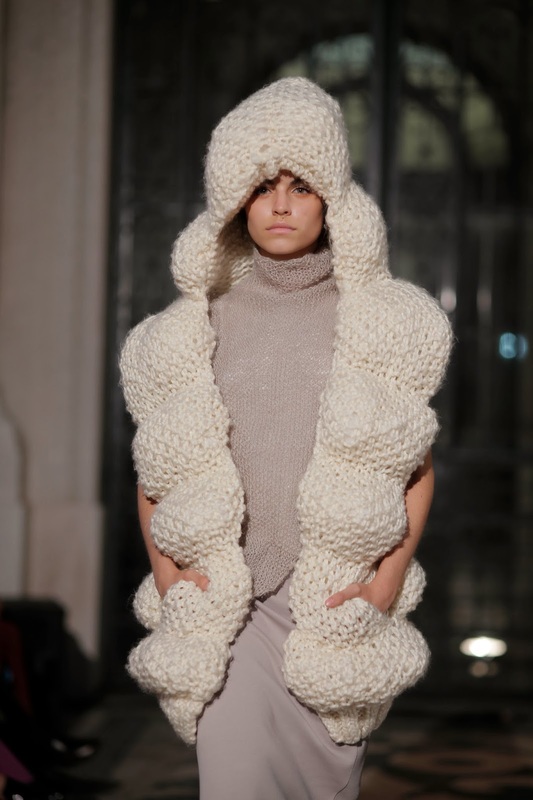 She has already received a couple of fashion awards for young designers. 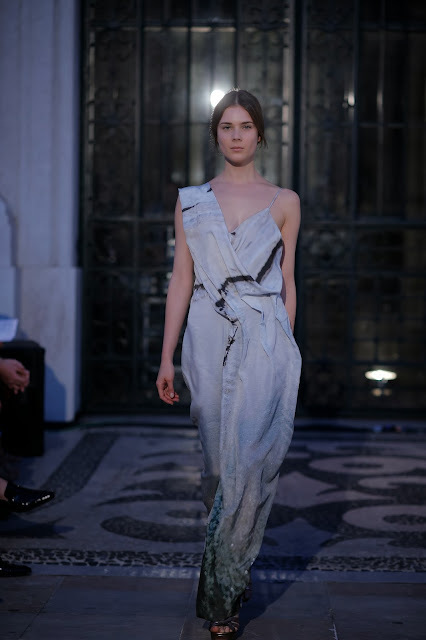 What we like: feminine and elegant silhouettes, using draping technique and creating unusual shapes, simplicity, achieving the effect of lightness and softness. 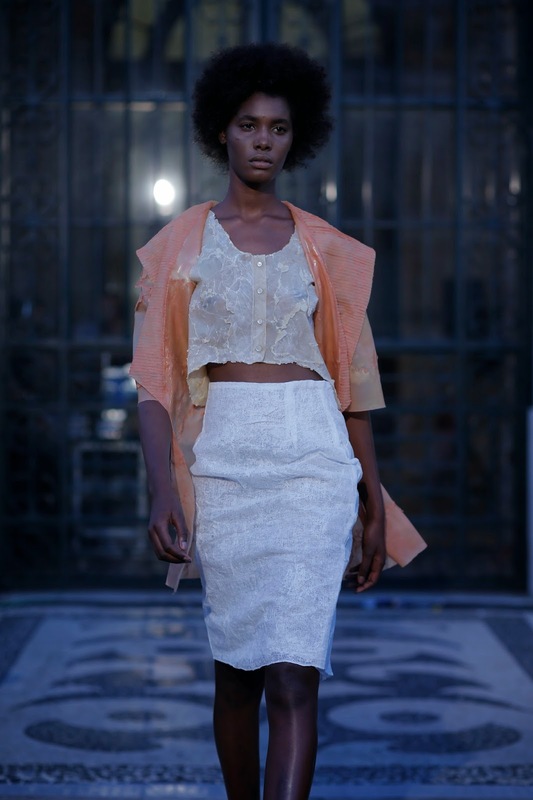 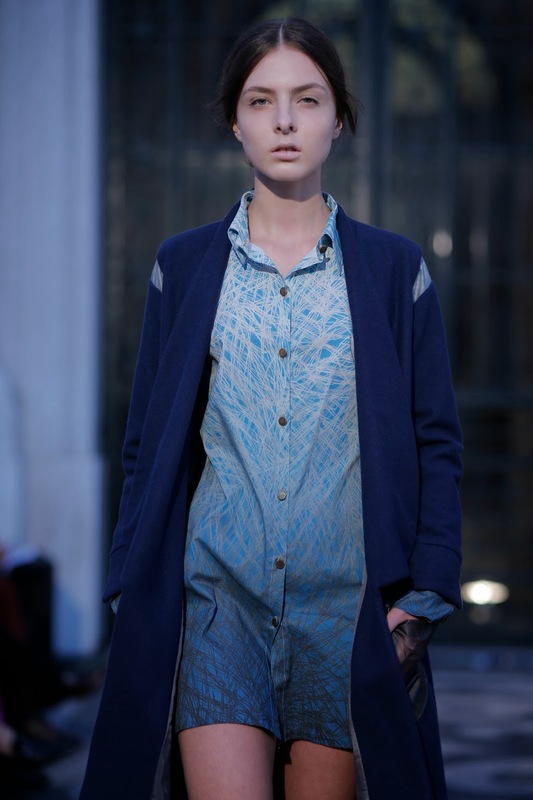 Catarina Ferreira started her technical training at Escola de Moda do Porto (EMP), where she graduated in 2004. 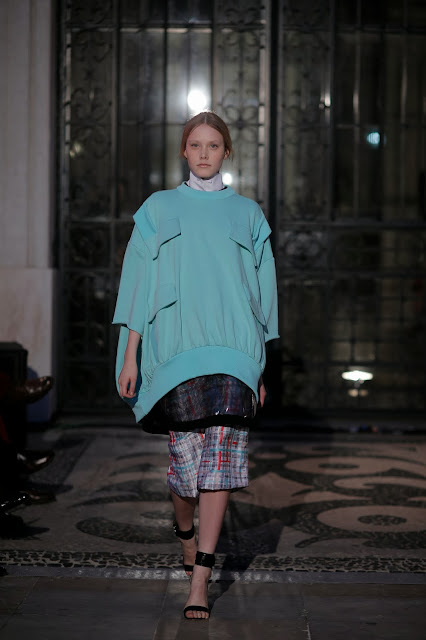 In 2009, she decided to take her knowledge and experience to a higher level and undertook the BA course in Fashion Design at Escola Superior de Artes e Design (ESAD), which she completed in 2012. 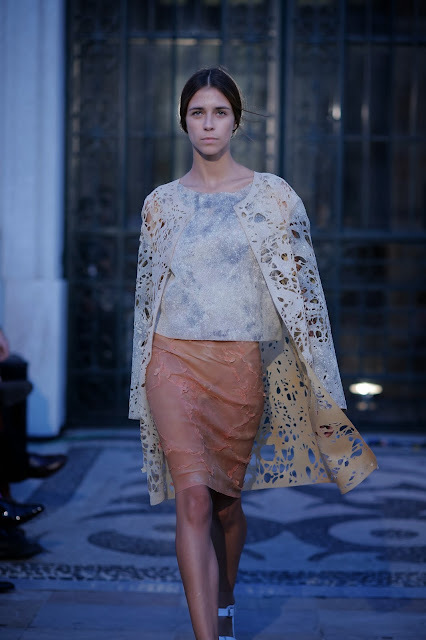 In January 2013, Catarina was invited to present some of her garments at the International Fashion Showcase – London Fashion Week AW’13. In July, she was a finalist at ACTE European Contest of Young Designers in Riccione, Italy, where she was awarded the overall First Place. 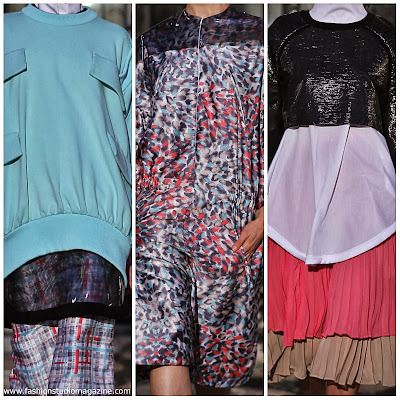 What we like: combining contrasting fabrics and textures together, achieving an interesting layered look, the right mix between creativity and functionality: the clothes are wearable yet unique, pastel colour palette combined with traditional black & white, pleated skirts. 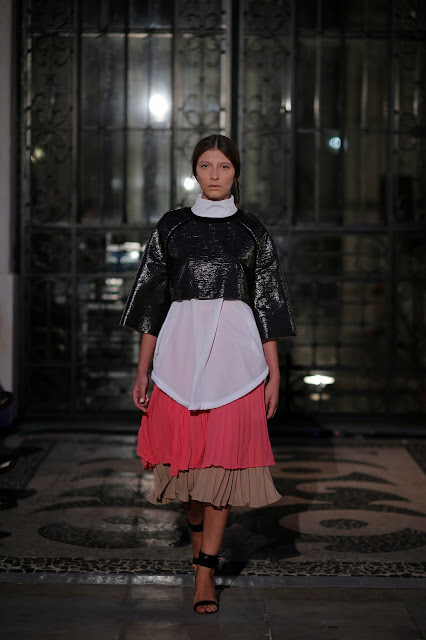 Renata Bernardo graduated in Fashion Design from Faculdade de Arquitetura de Lisboa, where she is currently attending the MA in Fashion Design. 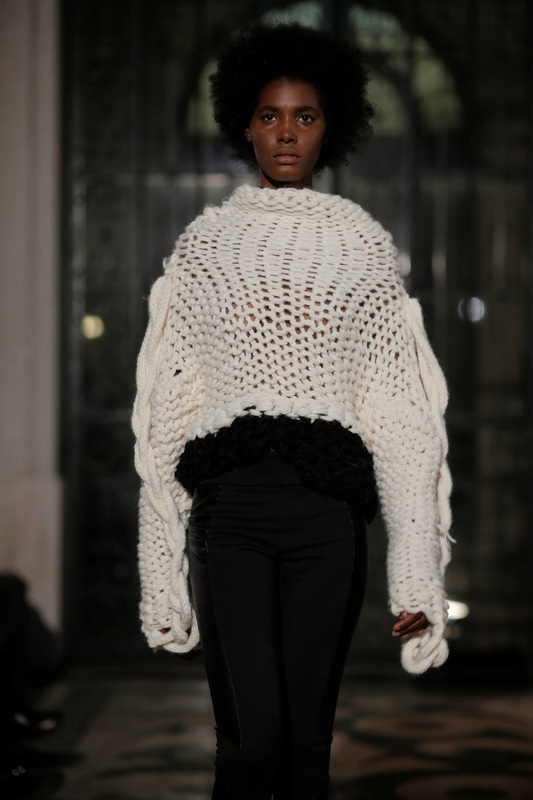 The whole collection is made from knitted jersey. The pants are in kit and napa leather. 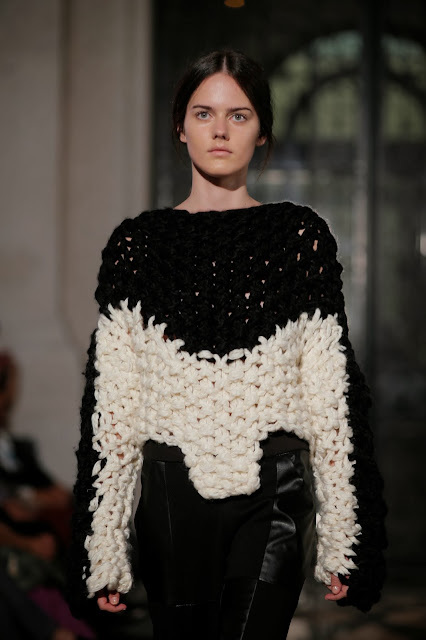 What we like: creative use of knitwear, black / white / grey colour palette, intriguing shapes, oversized silouhettes, very distinctive and unique style. Stay tuned for more fashion news from Lisbon!